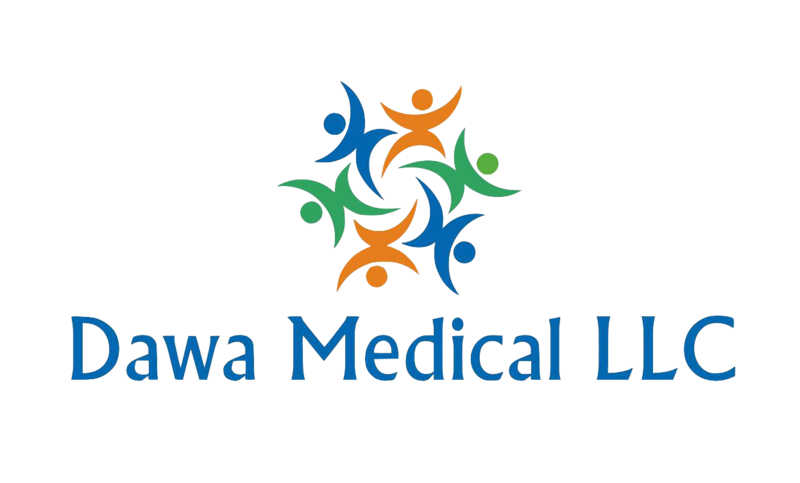 At Dawa Medical, we believe that the strength of an economy is rooted in entrepreneurship, especially in the medical community. We want to make room for people who are active actors in the hospital environment and who, thanks to their imagination, find solutions to problems that may seem trivial at first sight, but in fact facilitate the daily work of hospital staff or further improve the quality of life of patients. Our goal is not to promote the latest drug eluting stent in vogue or other products of a multinational, but to give visibility to the entrepreneurs that you rub shoulders with every day and pursue a dream. 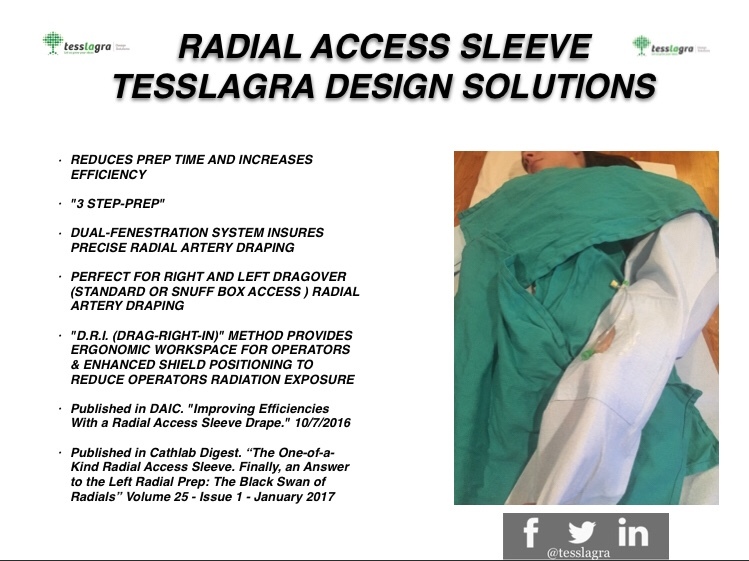 The Radial Access Sleeve (RAS) is a circumferential sterile sleeve with a dual fenestration system to insure sterility for radial access procedures. 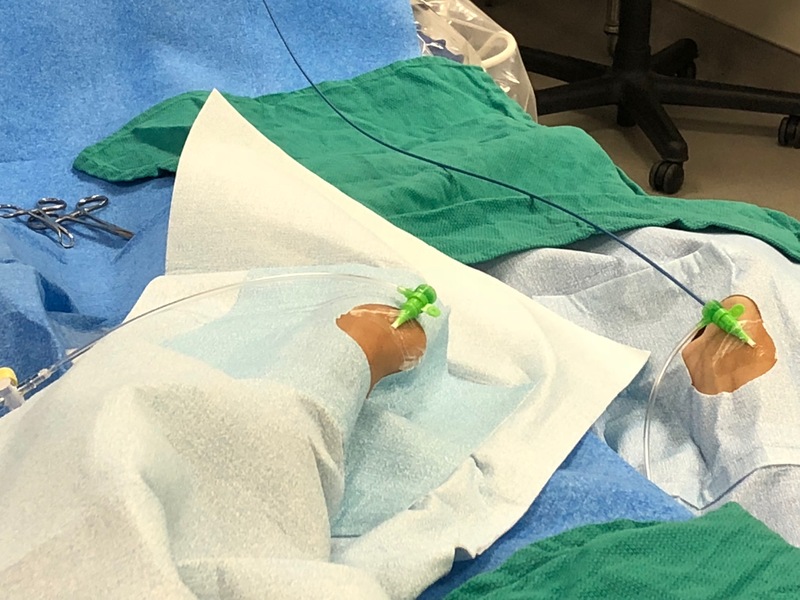 It can be used bilaterally but is especially useful for left radial artery procedures. 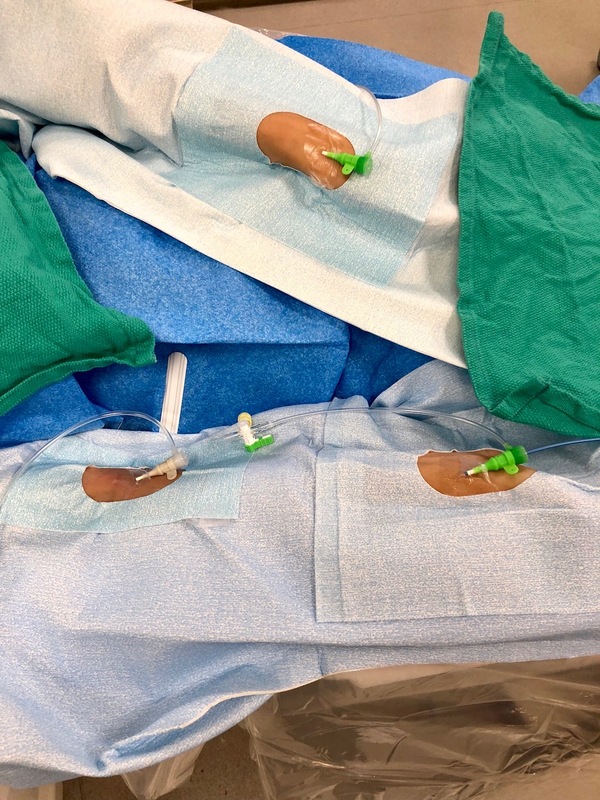 This device is focused on optimal sterility for patients, expedient prep for staff, and ergonomics for operators. 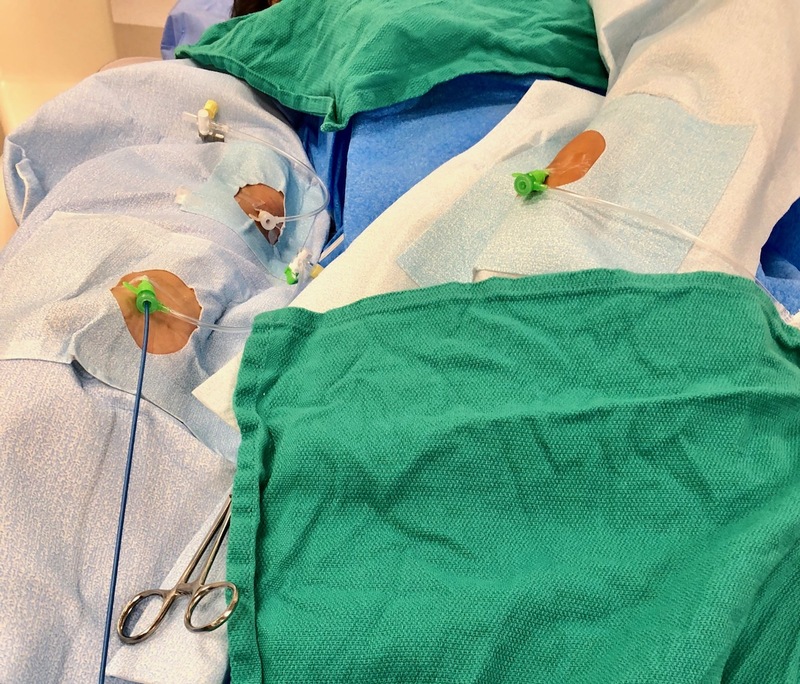 The second generation RAS is outfitted with a brachial fenestration also for those who do right heart catheterizations via the brachial vein. The RAS can also accommodate pedal access (AT or PT). This versatile device is a great addition for any interventional lab.